Abandoned by the priestess of the island at birth, Aissa is an outcast, surviving by her wits - until she joins the acrobatic bull dancers who are sent away to compete on the island of the Bull King. 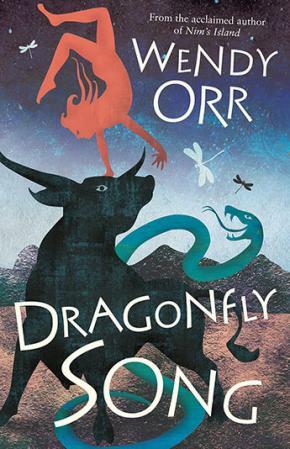 A gripping and powerful adventure by acclaimed author Wendy Orr. There are two ways of looking at Aissa's story. She's the miracle girl who escaped the raiders. Or she's the cursed child who called the Bull King's ship to the island. Now every year the Bull King takes a tribute from the island: two thirteen-year-old children to brave the bloody bull dances in his royal court. None have ever returned - but for Aissa it is the only escape. Aissa is resilient, resourceful, and fast - but to survive the bull ring, she will have to learn the mystery of her true nature. A riveting, mythic Bronze Age adventure from award-winning author Wendy Orr.